The results of Assembly polls in three Hindi heartland states show that BSP supremo Mayawati may have blundered by not allying with the Congress. Had she been more accommodative and pruned her demand for a sizeable chunk of seats the Dalit leader could have claimed much of the credit for the momentous defeat of the mighty BJP in its bastions. 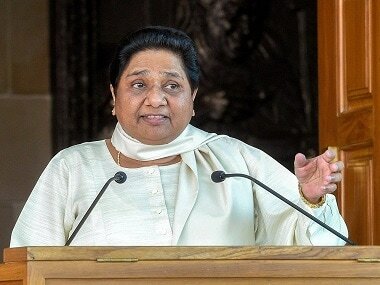 A winning alliance in these elections with the Congress even if the BSP got a token number of seats would have given her a huge boost in national politics and considerably improved her negotiating credentials for the best deal possible in a seat-sharing arrangement for the coming Lok Sabha polls in 2019. Mayawati’s biggest setback has come in Chattisgarh where her gamble tying up with former Congress leader and chief minister Ajit Jogi has spectacularly failed. Many political pundits had predicted that this would either facilitate a comfortable BJP victory or lead to a badly Hung Assembly where the third front led by the BSP supremo and Jogi would emerge as the deciding factor. There was even speculation of a Karnataka like scenario where the duo could browbeat either of the two main parties to make Jogi the chief minister. The comprehensive sweep by the Congress of this backward tribal state has not only crushed the BJP but also rendered the limited number of seats won by the Jogi led front completely inconsequential. The BSP’s vote share has actually come down from 4.29 percent in 2013 to 3.9 percent although the party has increased its number of seats from one to two. For the Congress with a phenomenal 68 seats in an Assembly of 90 legislators the Jogi led front with just seven seats or the BJP reduced to a mere 15 seats hardly pose a challenge. It is now quite clear that in her haste to grab as many seats as possible Mayawati had made a vital mistake in choosing Jogi as a partner. Although the Congress rebel gave her as many as 35 seats he actually triggered off a mass desertion from the BJP to the Congress by backward caste, the largest vote bank, who found the latter suddenly an attractive proposition since Jogi, a scheduled caste leader, was no longer associated with it. Lacking a significant mass base in the state Mayawati remained a helpless spectator as this backward versus scheduled caste power equation played out in favour of the Congress. The BSP also performed poorly on its own in Madhya Pradesh where its number of seats came down from four in 2013 to two and vote share fell from 6.42 percent five years ago to 5 percent in the recently concluded polls. This underlined the steep decline in support at the ground level for the BSP in the state even in areas adjoining the Bundelkhand region of Uttar Pradesh where the party has been traditionally strong. However, there was some good news for Mayawati from Rajasthan where the BSP managed to double its seat tally from three in 2013 to six this time marginally increasing its vote share from 3.48 percent to 4 percent. Fortunately for the BSP supremo, her political miscalculation may have only slightly dented her prospect for 2019 and not damaged it too much. The narrow victories of the Congress in Madhya Pradesh and Rajasthan have provided her with the opportunity for a fresh post-poll alliance which she has swiftly seized offering support on the plea of keeping out the BJP. Significantly although the Congress may not technically need the BSP’s support it is understood to be keen to include the latter in the new government. 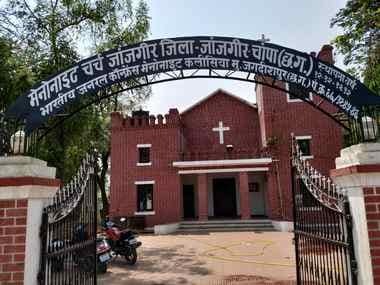 So while in Madhya Pradesh all the four independent winning candidates and even a larger number in Rajasthan have already indicated their support for the Congress giving the party a comfortable majority in both states both Sonia and Rahul Gandhi are believed to have instructed the local leadership to try and incorporate the BSP in the ruling alliance as well. 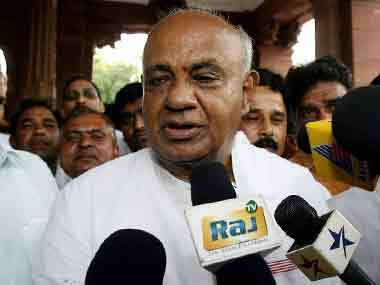 It may be recalled that despite the collapse of a possible alliance between their parties for the state elections both Mayawati and the Gandhis were careful not to allow this to spoil their close personal rapport showcased on the public stage during the swearing-in ceremony of Karnataka chief minister HD Kumaraswamy several months ago. In fact, Mayawati while blaming the local Congress leadership in the three Hindi heartland states had kept the door open for a larger alliance with the central leaders for the 2019 Lok Sabha polls. Ironically the narrow victories of the Congress in Madhya Pradesh and Rajasthan, as well as its dismal loss in Telengana and Mizoram to regional parties, have restrained any over the top exuberance or arrogance in the party leadership. Had the Congress won 5-0 or swept all the Hindi heartland states by comfortable margins this may well have been the case. 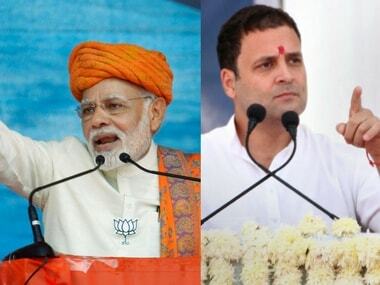 However senior party leaders, particularly the Gandhis, realise that defeating the Modi juggernaut in 2019 remains a daunting task and would require the Congress to accommodate the aspirations of other regional parties on a pragmatic basis. As for Mayawati, the setbacks suffered in these elections should be a lesson not to get too ambitious or greedy but systematically work out the best deal possible with the Congress in the run-up to the 2019 elections. She seems to have already worked out a deal with Akhilesh Yadav and possibly Ajit Singh as well to forge a formidable alliance in the politically crucial state of Uttar Pradesh. It remains to be seen if she can be generous enough to accommodate a token presence of the Congress in this statewide alliance in return for a similar arrangement in favour of the BSP in key Hindi heartland states. The BSP chief must remember that her personal brand is much higher than the strength of her party particularly outside Uttar Pradesh. If indeed a new ruling coalition replaces the BJP in New Delhi and she gets a key post, for example, the home minister’s post it could be a huge leap forward in her already meteoric career and reverse what many believed was in permanent decline.